As you know, PHP is a best, most popular and recommended server side scripting language around the globe. 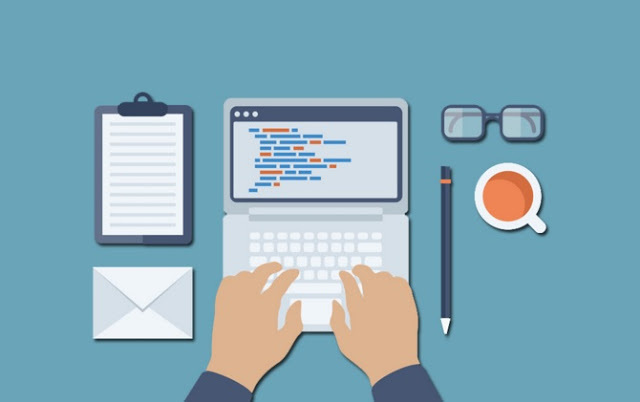 PHP is known as one of the perfect options to create a complex website or Application or e-commerce web portal under the budget. At the present time, PHP has several numbers of Frameworks as Laravel, Symfony, CodeIgniter, YII, Phalcon, CakePHP, Zend, Slim, FuelPHP etc. All PHP Frameworks have wide numbers of feature lists which are used according to specific requirement. 1. Laravel: Laravel is one of the most popular free open source PHP framework used to create easy, fast & complex web Application development. Laravel has numbers of features that make a rapid application development in the small of the price. 2. CodeIgniter: CodeIgniter is a second best lightweight PHP framework used for creating simple and elegant toolkit a full-featured web applications. If you want to develop the Application in a better way and small fund than CodeIgniter is the best option for you. 3. 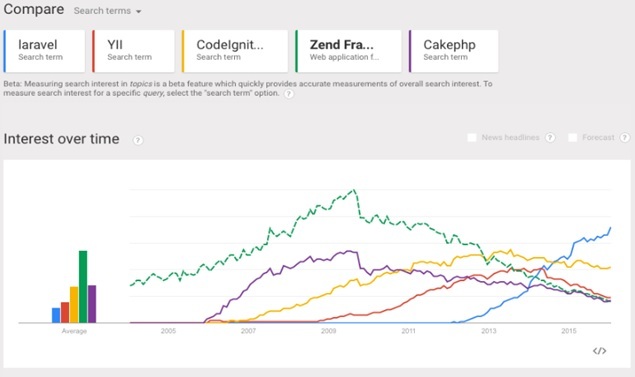 CakePHP: CakePHP is an old PHP framework, but its’s still have a most popular framework. CakePHP first version was released in 2005. CakePHP is also liked by web developer due to its Lightweight, faster, simplicity and require less code. CakePHP is commonly known design patterns like Association Data Mapping, Front Controller, and MVC. 4. Zend Framework: Zend Framework is robust and fully object-oriented. Zend uses a lot of object-oriented concepts like inheritance and interfaces. Zend framework work as building blocks that can be used piece by piece with other programs & Application used by object-oriented (OO). 5. YII-Framework: YII-Framework is a high performance, modern & free open source PHP framework for creating web applications and APIs integration. It’s more popular due to faster development, role based access control, caching, authentication, scaffolding, testing etc. Interest over time. Web Search. Worldwide, 2004 – present. Ramavtar Sharma has viable knowledge of web design, web development and SEO. Currently, He is working as a PHP web developer in Dev Technosys, a leading CakePHP Development Company. He also shares his experience on the web.